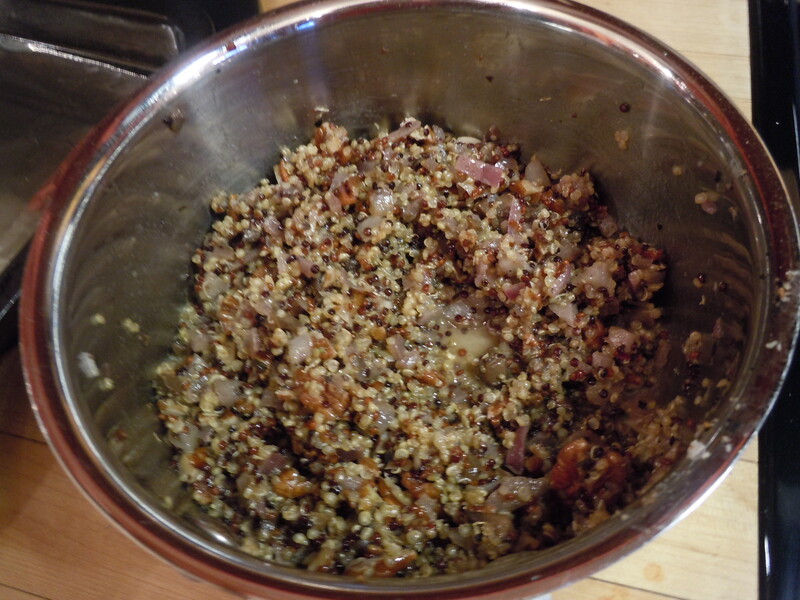 Cook the quinoa in the bouillon. 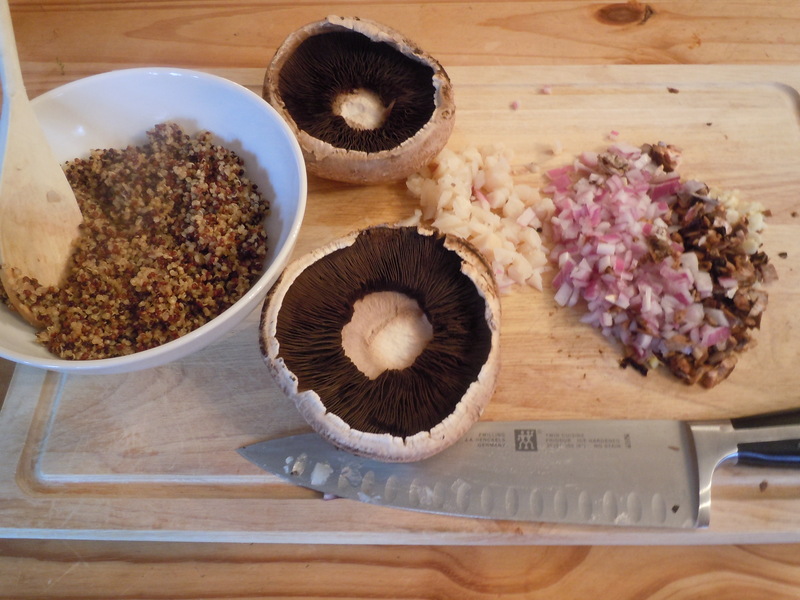 Remove the stems from the mushrooms. 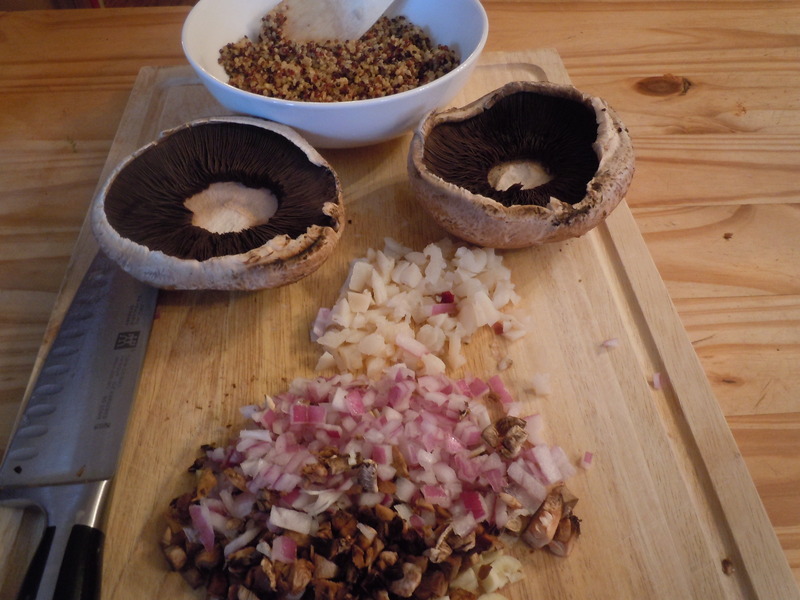 Set the mushrooms aside while you make the stuffing. Chop the stems finely. 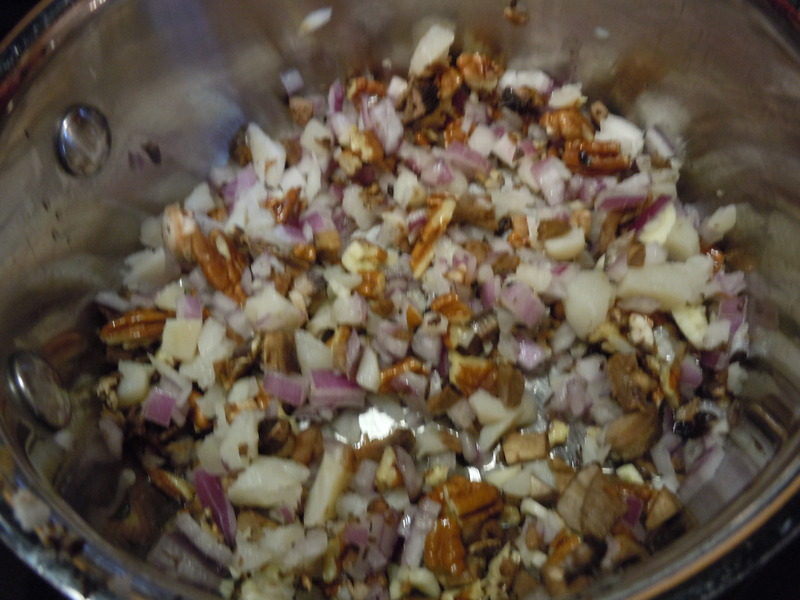 In the olive oil, sauté the onion, mushroom stems, garlic, chopped pecans and water chestnuts. Add the poultry seasoning, and a dash of salt and pepper. Stir in the quinoa. Add the wine or water to bind the stuffing. 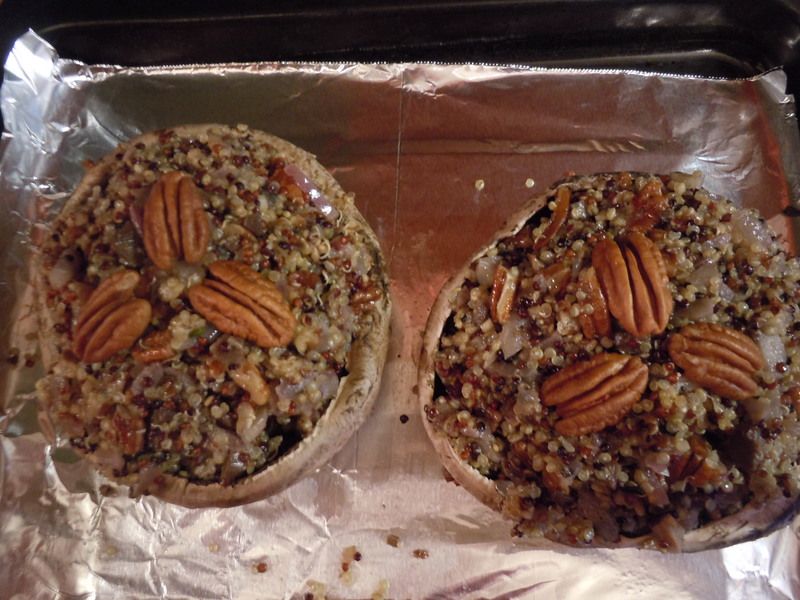 Fill the reserved portabella caps with the stuffing and arrange three pecan halves on each. Bake in a preheated 350 oven for 30 minutes. 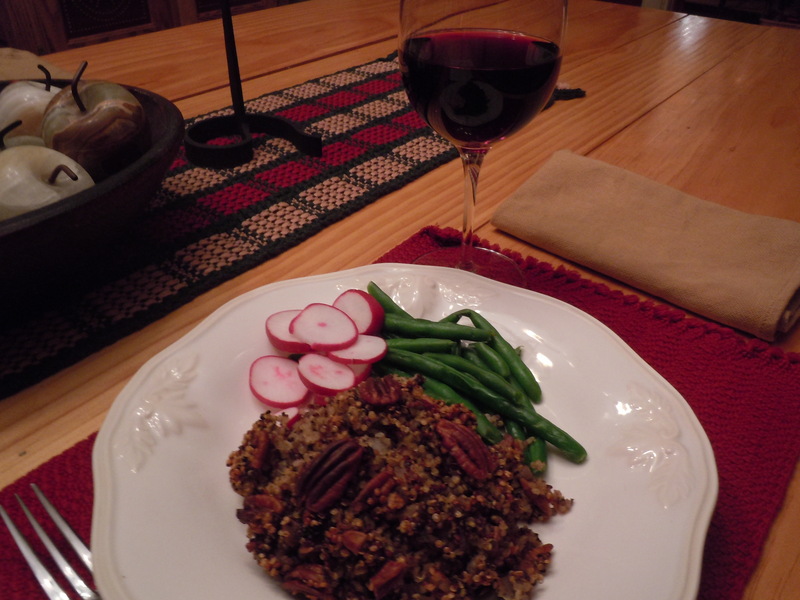 Serve with steamed green beans and radishes.